"Improving work performance of Office employees with insight from pro Sport"
Today’s office employees are faced with the pressure of having to do increasingly more during their workday. At the same time, they are assuming more responsibilities that require more of their problem-solving and creative capabilities. Recovery is very important for pro athletes, but what does this mean for office employees? 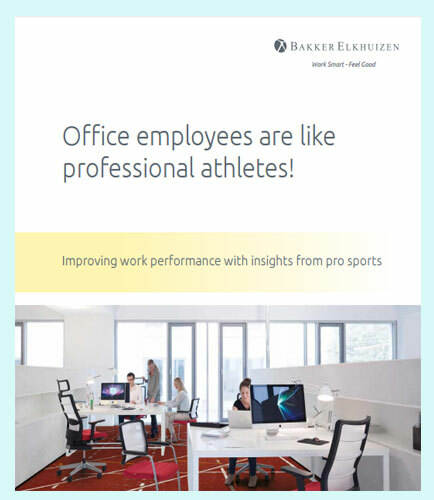 This whitepaper focuses on practical ways that organizations and their office employees can use insights gleaned from professional sports in order to improve work performance and give employees time for achieving goals in their private lives. How important is mental rest for office employees? Human capital is a measure of the economic value added by the workforce. The concept of human capital can be defined as the collective skills, knowledge which an employee acquires on the job, or other intangible assets of individuals that can be used to create economic value for the individuals, their employers, or their community."